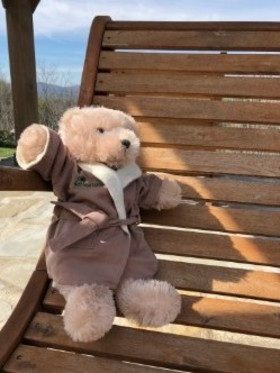 If you plan to visit Lucille’s Mountain Top Inn & Spa in the near future add a special gift to your reservation to enjoy while you are here and to take home as a remembrance of your stay. Or if you have visited in the past and forgot to purchase one before you departed, you can order one here and we will ship it straight to you. 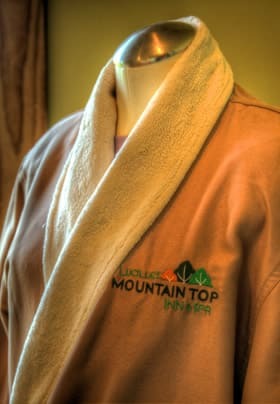 Call 706-878-5055 or email us to purchase any of our Gift Shop items. The Spa at Lucille’s also has a retail shop where you can buy products from 100% Pure that are used in our treatments. Feel free to stop by and browse our selection at any time! We are usually always ready to get back home after a weekend out of town, but this weekend we wanted to stay longer! We can’t wait to get back to Lucille’s very soon. P.S. Those desserts were outstanding! !